If you’re having severe back problems, your physician may recommend surgery. At Southcoast Health, we offer surgical procedures to help with your back pain. One of the procedures our surgeons offer to our patients is image guided surgery (IGS) with the innovative 7D Surgical System that is radiation free. What is the 7D Surgical System? Our spinal surgeons can see the anatomy in 3D as opposed to the 2D intraoperative images taken with standard fluoroscopy. 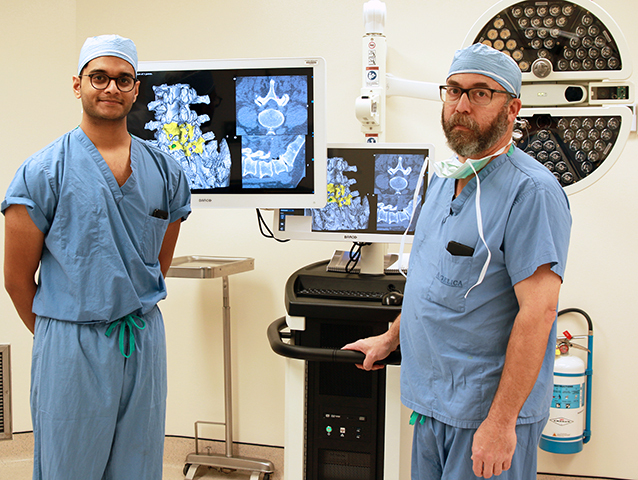 7D Surgical technology for spinal implants greatly reduces a patient’s exposure to radiation that is commonly associated with traditional robotic approaches. The 7D Surgical system uses sophisticated camera technology, similar to self-driving cars, to create a three-dimensional photographic image in three to four seconds resulting in shorter more efficient procedures. 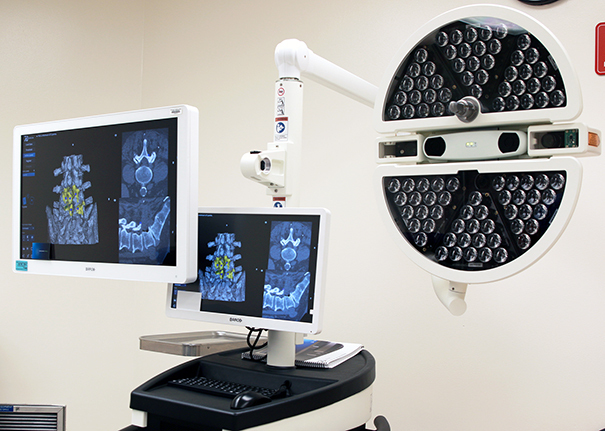 7D Surgical Machine-vision Image Guided Surgery technology. Southcoast Health’s Brain and Spine Surgery program at St. Luke’s Hospital is a Blue Cross Blue Shield Blue Distinction Center ® 2019. 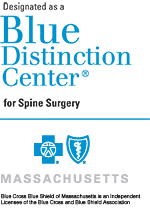 Southcoast Health serves patients in the local community with back surgery in Fall River, Dartmouth, New Bedford, Wareham, MA and surrounding areas of RI. Contact us today to learn more about the 7D Surgical System or find one of our Brain & Spine Centers near you to schedule an appointment.